Today's guest post comes from Threads Worldwide. We are so excited about what they are doing and think you will be too! Thank you for supporting the brands that support our blog. After traveling to nearly 50 countries, many in the developing world, Angela Yost, Kara Wiegand and Lindsay Murphy knew they wanted to give back to the communities that were so impactful to them. When they witnessed the severe poverty in these communities–from the little girl in Siem Reap, Cambodia who stepped into the sewer while begging for grape soda, to the families in Mumbai, India who were living on the highway medians between a constant flow of traffic–the women were determined to find a way to support these people in a sustainable and economically meaningful way. Threads was their answer. After learning that women invest 90% of what they make back into their families / communities, Kara, Angela, and Lindsey agreed this was the fastest way to eradicate poverty and set out on a mission to develop a company that supported just that. Threads Worldwideis a fair trade company that brings jewelry handcrafted by artisan women (like the women in Cambodia and India) in developing countries to market in the US through a social sales model and online shop. It’s not your average jewelry company. It’s one that is making a real and sustainable impact in the world. Threads partners with dozens of artisan cooperatives around the world, employing women and providing them the opportunity to thrive, not just survive. Many of the cooperatives employ women who are survivors of trafficking, are hearing or sight-impaired, or affected by other economic, social or political factors. When these women are taught a tangible skill (jewelry making), paid a fair wage and provided a safe workplace, they begin to emerge out of poverty and start to thrive. Depending on the season, Threads empowers hundreds of women in over 12 developing countries around the world, from Ecuador to Kenya to Indonesia. With access to sustainable employment, the artisan women are able to make their dreams a reality–from sending all of their children to school, accessing health care, to making their homes safer and starting their own businesses. In the United States, women join the Threads Worldwide community as Fair Trade Partners. Fair Trade Partners show the world how to shop with heart – ethically and consciously. Teachers, business owners, lawyers, doctors and stay-at-home mothers share the stories of the artisan partners while also earning an income for themselves by selling the handcrafted jewelry at Threads Artisan Showcases and within their communities. 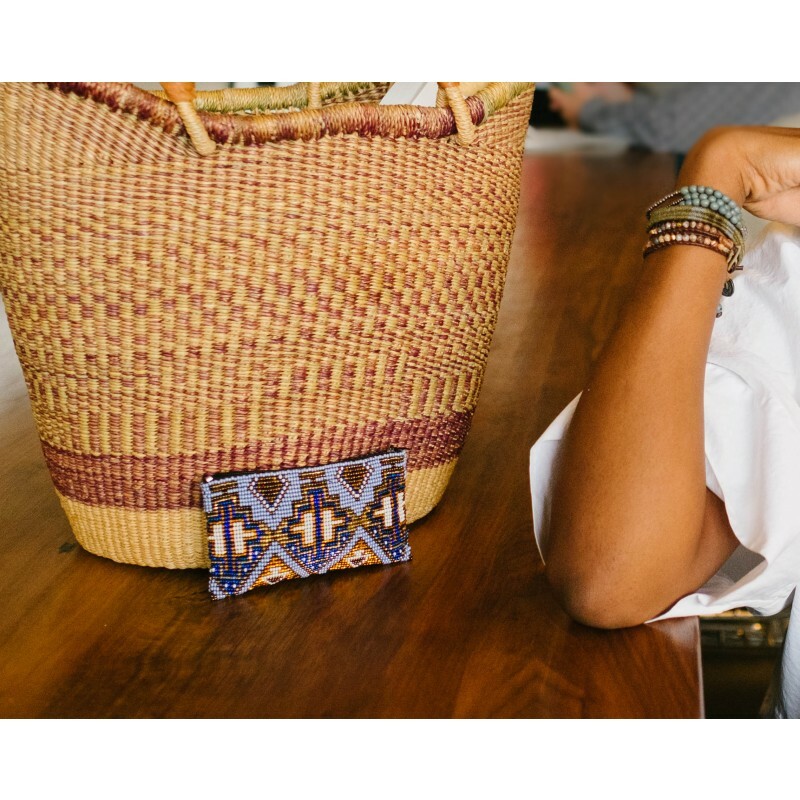 Through this model, Threads has brought hundreds of global artisan shopping experiences into hundreds of communities around the US, educating people on the power of their purchases and sharing the artisan stories. “We’re striving to create a world that celebrates and empowers women, trades fairly, eradicates poverty and honors handcrafted over factory-made,” adds Kara Wiegand, COO. Threads is actively recruiting Fair Trade Partners to launch Threads businesses in select cities nationwide. As a Fair Trade Partner, you work to spread awareness by sharing the stories and products of our Artisan Partners with your friends, family, and community. You provide education on the power of Fair Trade, and sell Threads exclusive, handcrafted, and fairly made jewelry online, on the go, and via in-home Artisan Showcases. You create access to a new market for artisans around the world, and your Threads business becomes a globally inspired marketplace for your friends to buy stylish jewelry that also makes a difference. Gina A., a Fair Trade Partner in Denver says, “I am able to make a difference in the lives of women around the world and also impact my own friends and community. With Threads, I reminded of my own need to be an instrument of peace. I also am meeting and connecting with amazing women both within the Fair Trade Partner community and as I travel with our message in the community. It energizes me to be involved with Threads."